REDUCED!! 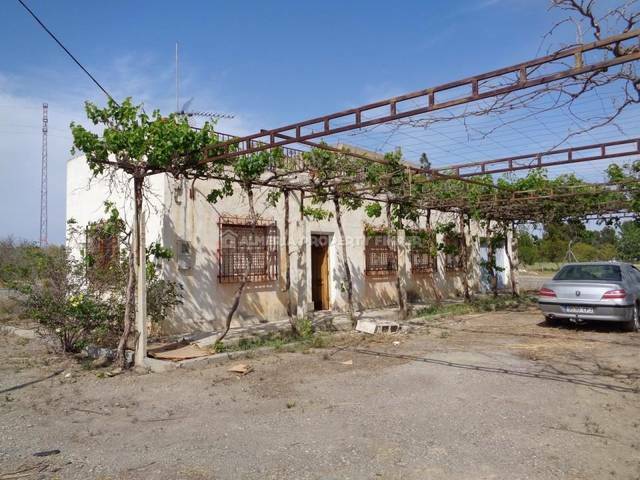 Part renovated 2+ bedroom country house with self contained 2 bedroom cave room accommodation, a store room, plus additional cave rooms for renovation. 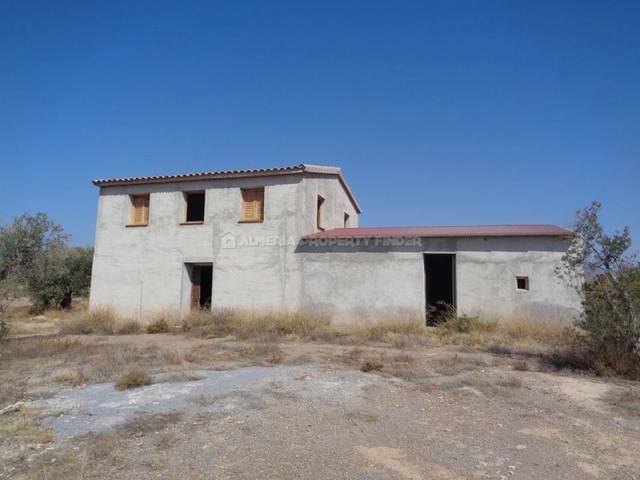 This versatile property for sale in Almeria Province is situated in the popular Rambla de Oria area, around 10 minutes from the local bar and 20 minutes drive from the towns of Albox and Oria. It would make an ideal family home with space to accommodate visiting family or, with a little work, could be set up as a guest house / B&B. To the front of the house is a bright and sunny conservatory, an ideal spot to sit and enjoy the beautiful valley views. From here, the front door opens into a spacious entrance hall, with the kitchen to one side and a dining room to the other. The kitchen if fitted with a range of white wall and base units, a sink with drainer and a gas hob. Off the kitchen is a spacious bathroom with a sunken bath tub, large tiled walk-in shower, WC and pedestal basin. From the entrance hall an open archway leads into a cosy cave lounge with feature fireplace housing a wood burner with alcove shelves to either side. To one end of the lounge is a double bedroom with built-in side tables and dressing table. Also off the lounge is the master bedroom set in a large cave with a walk-in wardrobe which is large enough to convert to an ensuite shower room. 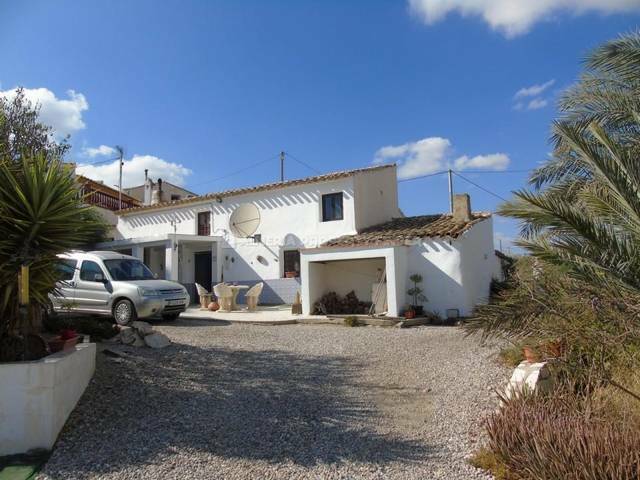 Between the kitchen and bathroom, stairs lead up to the first floor which currently comprises one large room in need of renovation, and a huge bathroom with a glazed shower cubicle, WC, bidet and pedestal basin. The large room could easily be split to create two bedrooms on the first floor, giving a total of 4 bedrooms in the main house. The separate cave accommodation comprises a kitchenette, small shower room, lounge, and two cave rooms. In addition there is a detached brick built store room which would make an ideal workshop, and two further cave rooms for renovation which could become additional guest accommodation.